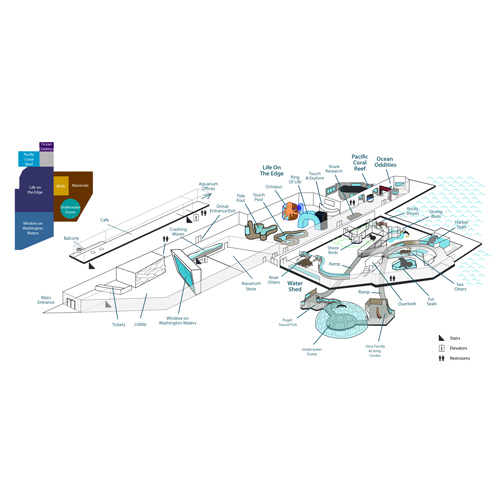 I worked with the Seattle Aquarium on a redesign of their visitor's map. 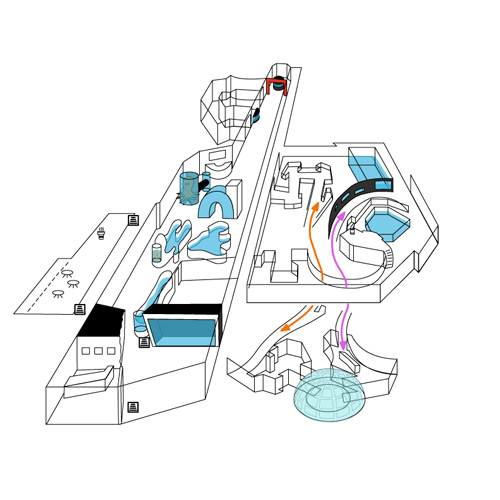 Some goals they wanted from a new map were to distinguish between the various sections of the aquarium, to show new special exhibits, and to accurately portray how to get to the underwater dome, one of their most popular attractions. 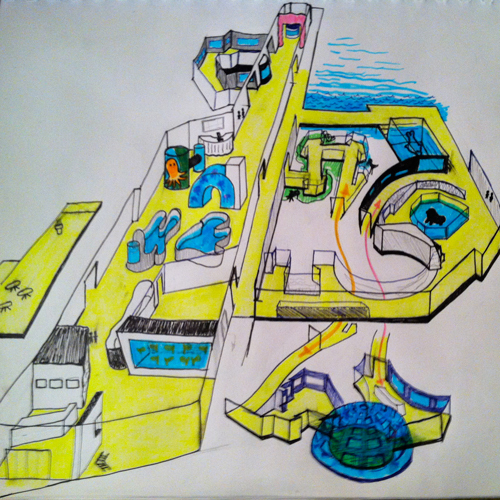 For this project, I extensively researched the blueprints and maps. I photographed and made videos of the entire layout of the aquarium. I interviewed employees and patrons about their aquarium experience, and where the current visitor’s map was worked well and where it could use improvements. I met regularly with the Aquarium’s design department to review the map’s progress. The original version of the map I designed was from an angled perspective, which the board decided was too much of a change from the front-facing original version. I created a second version that was from a more of head-on viewpoint. While the core of the map was based off of their architectural blueprints, I was able to develop icons and an arrow system to show routes through the aquarium.